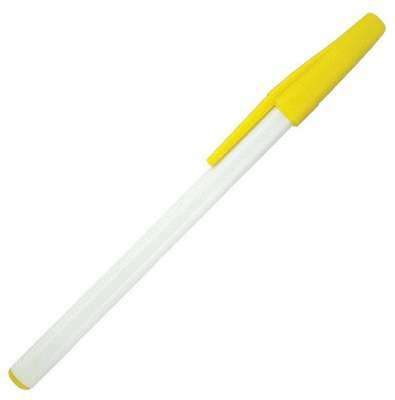 Our white Belfast ballpoint stick pen is plastic writing utensil with a colorful removable cap. 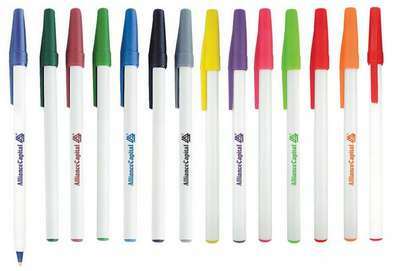 Imprint Size is 1 3/4" x 3/4"
The Empire White Belfast Ballpoint Stick Pen available in 13 unique attractive colors makes for a perfect branded souvenir for your organization. 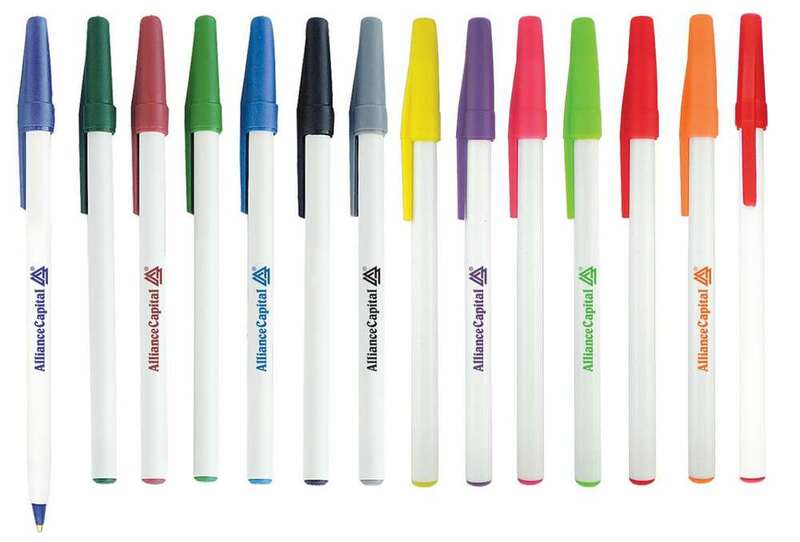 Imprint you logo onto the white barrel with colored trim and leave your first great impression on your customers. The matching tip, trim and cap lend it the classy look along with your neatly imprinted logo. 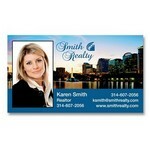 This Smart Buy Business Card Magnet is eco-friendly and made of recycled material.